[S118] 1861 Census for Holbeach, Lincolnshire. Full details upon request: PRO Ref RG9 Piece 2329 Folio 57 Page 12. [S149] 1881 Census for Spalding, Lincolnshire. Full details upon request: FHL Film 1341764 PRO Ref RG11 Piece 3203 Folio 24 Page 12. 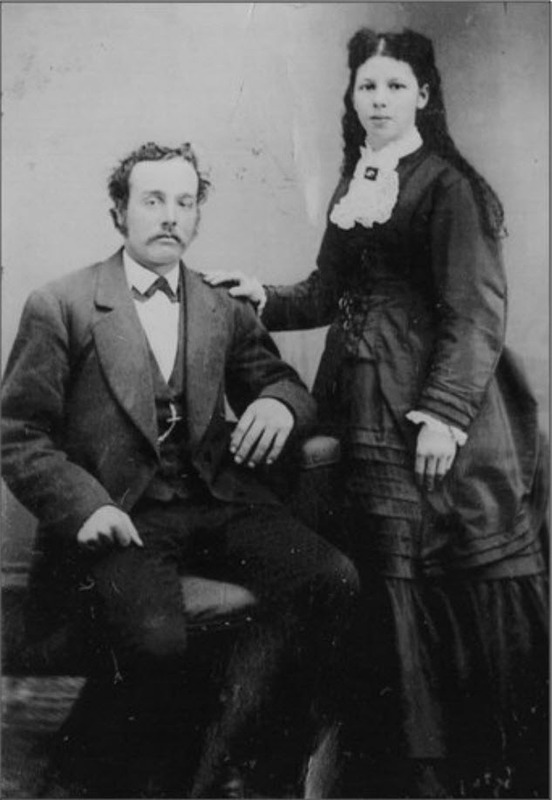 Children of John SAVAGE and Mary SAVAGE née ? [S118] 1861 Census for Holbeach, Lincolnshire. Full details upon request: PRO Ref RG9 Piece 2329 Folio 77 Page 17. [S230] Transcript of the 1901 . "PRO Ref RG13 Piece 3032 Folio 159 Page 11." [S127] 1881 Census for Boston, Lincolnshire. Full details upon request: FHL Film 1341767 PRO Ref RG11 Piece 3217 Folio 164 Page 4. [S886] Image of the 1871 Census for Nocton, Lincolnshire: RG10 Piece 3368 Folio 13 Page 20. [S931] Image of the 1881 Census Transcript for Nocton, Lincolnshire: RG11 Piece 3237 Folio 60 Page 14. [S2] GRO Indexes to Births. "GRO Online Index: 1868/Q1 PASK, Shepherd ASMAN Lincoln 7a 481." [S5502] Website FindmyPast: 1939 Register: RG101 6236H 012. [S929] E-mail from David Ashmore to Stuart & Teresa Pask dated 21 October 2004. [S5549] Image of the 1891 Census : RG12 Piece 2592 Folio 35 Page 17. [S3] GRO Indexes to Marriages. "1897/Q4 PASK, Justina = PASK, Shepheard Edmund Lincoln 7a 1111." [S3354] Transcript of the marriage of Shepheard Edmund Pask and Justina Pask, 28 December 1897. Kindly provided by Marion Harper Hopkins - GOONS Marriage Challenge. [S377] Transcript of the 1901 . "PRO Ref RG13 Piece 3058 Folio 103 Page 7." [S4638] Image of the 1911 Census for Nocton, Lincolnshire: RG14 Piece 19713 Schedule 86. [S4] GRO Indexes to Deaths. "1949/Q2 PASK, Shepherd E. Southwell 3c 436 age 81." [S4999] Website UK Government Probate Search Service: 1949 PASK Shepherd Edmund of North-road Farm Carlton-on-Trent Nottinghamshire died 4 June 1949 Administration Nottingham 7 November to Justina Pask widow and Frederick Shepherd Pask farmer. Effects £1610 6s. 9d. [S1824] E-mail from Patricia Chown to Stuart & Teresa Pask dated 12 March 2006. [S4] GRO Indexes to Deaths. "1955/Q3 PASK, Justina Southwell 3c 365 aged 85." [S2] GRO Indexes to Births. "GRO Online Index: 1904/Q3 PASK, Edmund PASK Lincoln 7a 498. " [S2] GRO Indexes to Births. "GRO Online Index: 1909/Q2 PASK, Frederick Shepherd PASK Lincoln 7a 481." [S151] The Church of the Jesus Christ of Latter-Day Saints, Vital Records Index, Second Edition: Disk 16 FHL Film 1542197. [S5739] The Family of Henry and Elizabeth Pask of Lincolnshire compiled by Paul Bruce Stephenson, dated 2 August 2018. [S151] The Church of the Jesus Christ of Latter-Day Saints, Vital Records Index, Second Edition: FHL Film 1542197. [S1261] Website Lincolnshire 1837+ Marriage Indexes (http://mi.lincolnshiremarriages.org.uk/: ). [S376] E-mail from Tom and Claudia DuBois to Stuart & Teresa Pask. [S910] Image of the 1861 Census for Metheringham, Lincolnshire: RG9 Piece 2356 Folio 115 Page 26 from Archive CD Books "Gives year of birth as 1818." [S376] E-mail from Tom and Claudia DuBois to Stuart & Teresa Pask dated 29 March 2004: Gives date of birth as 1 January 1820. [S4] GRO Indexes to Deaths. "1894/Q1 PASK, Henry Lincoln 7a 343 age 74." [S349] Parish Registers Transcript, Nocton, Lincolnshire "Baptism: Henry s Henry & Elizabeth PASK otp labourer." [S285] Website FamilySearch Internet (http://www.familysearch.org). [S1234] Image of the 1841 Census for Nocton, Lincolnshire: HO107 Piece 621 Book 3 Folio 17-18 from Archive CD Books. [S1824] E-mail from Patricia Chown to Stuart & Teresa Pask dated 23 November 2013. [S910] Image of the 1861 Census for Metheringham, Lincolnshire: RG9 Piece 2356 Folio 115 Page 26 from Archive CD Books. [S3] GRO Indexes to Marriages. "1845/Q2 PASK, Henry = ASMAN, Elizabeth Lincoln 14 831." [S3460] Transcript of the marriage of Henry Pask and Elizabeth Asman, 3 June 1845. Kindly provided by Mick Hopkins - GOONS Marriage Challenge. [S3461] Image of the 1851 for Keepers Lodge, Nocton, Lincolnshire: HO107 Piece 2104 Folio 160 Page 8. [S930] Image of the 1861 Census for Nocton, Lincolnshire: RG9 Piece 2356 Folio 55 Page 8. Indexed incorrectly under the name of PACK. [S2866] Image of the 1861 Census for Nocton, Lincolnshire: RG9 Piece 2356 Folio 55 Page 7 from Archive CD Books. [S3] GRO Indexes to Marriages. 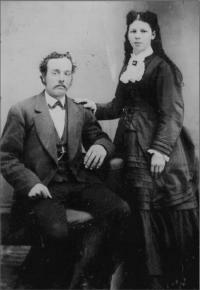 "1869/Q2 PASK, Elizabeth = CHESTER, Frederick Lincoln 7a 905." [S3386] Transcript of the marriage of Frederick Chester and Elizabeth Pask, 18 May 1869. Kindly provided by Mick Hopkins - GOONS Marriage Challenge. [S3] GRO Indexes to Marriages. "1876/Q1 PASK, Eleanor = KENWOOD, Job Lincoln 7a 673." [S3379] Transcript of the marriage of Job Kenwood and Eleanor Pask, 11 January 1876. Kindly provided by Mick Hopkins - GOONS Marriage Challenge. [S933] Image of the 1891 Census for Nocton, Lincolnshire: RG12 Piece 2588 Folio 96 Page 9. [S765] Website FamilySearch Internet (http://www.familysearch.org) : Submitted by J. Boyd NIELSEN. [S376] E-mail from Tom and Claudia DuBois to Stuart & Teresa Pask dated 29 March 2004: "Buried in Nocton All Saints graveyard." [S2481] Image of the 1851 for Nocton, Lincolnshire: HO107 Piece 2104 Folio 165 Page 19. Indexed incorrectly under the name of PACK. [S3383] Transcript of the marriage of Edward Pask and Ann Marshall, 14 March 1872. Kindly provided by Mick Hopkins - GOONS Marriage Challenge. [S154] 1861 Census for Nocton, Lincolnshire. Full details upon request: PRO Ref RG9 Piece 2356 Folio 55 Page 7. [S1549] Transcript of the marriage of Matthew Bellamy and Sarah Ann Pask, 17 October 1875. Kindly provided by Marion Harper Hopkins - GOONS Marriage Challenge. Justina Pask made a sampler in 1880. The sampler was passed to her niece Eliza Dinah PASK née MALLENDER, and then to her great-niece Roberta KIERONSKI née PAGE; Roberta was given two samplers by her aunt Eliza Dinah MALLENDER née PASK. The first was stitched by Roberta's 3 x great-grandmother, Elizabeth COTTON [Cottam], in 1791. [S2] GRO Indexes to Births. "GRO Online Index: 1869/Q4 PASK, Jussey SEMPER Lincoln 7a 456." [S934] Image of the 1881 Census for Nocton, Lincolnshire: RG11 Piece 3237 Folio 58 Page 9. [S885] Image of the 1871 Census for Nocton, Lincolnshire: RG10 Piece 3368 Folio 14 Page 21. [S935] Image of the 1891 Census for Nocton, Lincolnshire: RG12 Piece 2588 Folio 94 Page 6. [S3] GRO Indexes to Marriages. "1898/Q1 PASK, Grace = CORNWELL, David Lincoln 7a 695." [S3358] Transcript of the marriage of David Cornwell and Grace Pask, 10 March 1898. Kindly provided by Mick Hopkins - GOONS Marriage Challenge. [S2] GRO Indexes to Births. "GRO Online Index: 1904/Q3 PASK, Edmund PASK Lincoln 7a 498." [S1138] Image of the 1861 Census for Nocton, Lincolnshire: RG9 Piece 2356 Folio 52 Page 1. Indexed incorrectly under the name of PACK. [S848] Image of the 1871 Census for Canwick, Lincolnshire: RG10 Piece 3369 Folio 86 Page 14. [S849] Image of the 1881 Census for Pickworth, Rutland: RG11 Piece 3193 Folio 68 Page 16. [S3] GRO Indexes to Marriages. "1878/Q3 PASK, Edward Sleaford 7a 671." [S3] GRO Indexes to Marriages. "1878/Q3 DAUBNEY, Jane Sleaford 7a 671." [S850] Image of the 1891 Census for Cropwell Butler, Nottinghamshire: RG12 Piece 2718 Folio 51 Page 9. [S523] Image of the 1901 Census for Greatford, Lincolnshire: RG13 Piece 3203 Folio 30 Page 4. [S922] Copy of the marriage certificate of John Jabez Daubney PASK and Sarah Elizabeth GASH, 1 November 1906. Kindly provided by Joanne Kirby. [S3686] Image of the 1911 Census for 23 Birkin Avenue, Nottingham: 1911 RG14 Piece 20611 Schedule 155. [S4] GRO Indexes to Deaths. "1924/Q1 PASK, Edward Sleaford 7a 594 age 76." In loving memory of a dear husband Edward Pask d Jan 13th 1924 aged 76 years. Peace perfect peace. With loved ones far away? In Jesus keeping we are safe and they. Also Jane wife of the above d Dec 21st 1935 aged 81 years. Reunited. [S4] GRO Indexes to Deaths. "1935/Q4 PASK, Daubney J. Sleaford 7a 503 age 81." [S4573] E-mail from Dominic Covell to Stuart & Teresa Pask dated 11 June 2014. [S153] 1861 Census for Pickworth, Lincolnshire. Full details upon request: PRO Ref RG9 Piece 2347 Folio 5 Page 4. [S2] GRO Indexes to Births. "Online GRO Index: 1850/Q3 CLARK, Sarah Ann BEMROSE Grantham 14 309." [S1708] Image of the 1851 for Pickworth, Lincolnshire: HO107 Piece 2102 Folio 8 Page 8. [S4038] Image of the 1861 Census for Pickworth, Lincolnshire: RG9 Piece 2347 Folio 5 Page 4. [S6] Teresa & Stuart Pask's Guesses, Theories and Speculations: Based on middle name of son William, and that Elizabeth ASMAN was her mother, and lived next door in the 1861 & 1881 Census. [S4] GRO Indexes to Deaths. "1897/Q4 PASK, Elizabeth Lincoln 7a 294 age 73." [S2] GRO Indexes to Births. "GRO Online Index: 1845/Q4 PASK, Edward ASMAN Lincoln 14 453." [S2] GRO Indexes to Births. "GRO Online Index: 1847/Q1 PASK, Elizabeth ASMAN Lincoln 14 507." [S2] GRO Indexes to Births. "GRO Online Index: 1849/Q1 PASK, Henry ASMAN Lincoln 14 532." [S2] GRO Indexes to Births. "GRO Online Index: 1851/Q2 PASK, Jane ASMAN Lincoln 14 522." [S2] GRO Indexes to Births. "GRO Online Index: 1853/Q3 PASK, William Asman ASMAN Lincoln 7a 401." [S2] GRO Indexes to Births. "GRO Online Index: 1855/Q1 PASK, Eleanor ASMAN Lincoln 7a 418." [S2] GRO Indexes to Births. "GRO Online Index: 1857/Q1 PASK, Sarah Ann ASMAN Lincoln 7a 429." [S2] GRO Indexes to Births. "GRO Online Index: 1859/Q3 PASK, Francis ASMAN Lincoln 7a 433." [S1272] E-mail from Andrea Pask to Stuart & Teresa Pask dated 3 May 2005.